We're cheaper. At BecexTech, we can nego..
14 days Peace Of Mind money back.. Surcharge For VISA,Master Card Credit.. The item usually will be processed within 1 - 3 business days once the order is verified. The delivery lead time will be about 2 - 4 working days throughout Australia wide as soon as order get dispatched provided that there is no delay from courier side or due to other external factor. Please be advised that, Delivery to rural or PO BOX area may takes longer than usual. Please also note that delivery lead times should be used as a guidance only and should not be relied upon as such. The Samyang AF 24mm f/2.8 FE is an especially compact, lightweight lens well-suited for travel, landscape, and street photography. The optical design incorporates three aspherical elements and two high refractive index elements to suppress spherical aberrations, which help to realize a high degree of sharpness and clarity throughout the aperture range. An Ultra Multi-Coating has also been applied to control flare and ghosting for increased contrast when working in strong lighting conditions. The lens's autofocus motor works in conjunction with Sony cameras' AF systems for quick and precise focusing performance, and manual focus override is also available for more refined control. BecexTech now offers Extended Warranty leading class warranty solutions within Australia. No Lemon Guarantee: After the 2nd repair and upon the event of any 3rd repair We will under the terms and conditions of this PSP at Our discretion provide a comparable model replacement for our faulty product. Total accumulated repairs costs will not exceed original purchase price of product. $1200 Replacement: For faulty items that cannot be viably repaired up to the retail value of $1200 including GST, We may replace the product with a similar specification product. Product Health Check: During the period of Your PSP You will receive one health check contact to ensure Your product is properly maintained and in good working order. Loan Product: If Your product is the subject of a valid claim and is out being repaired for longer than 10 business days (excluding freight times), We will endeavour to provide You with a loan product upon written request by You to Us within 7 days after the 10 business days have passed and at Our discretion. You are responsible for any damages to this loan product and must return it in good order before receipt of Your repaired / replaced product. We will deliver the loan product if Your location is within 30km of the place of original purchase. If You are outside this area you will need to make arrangements with our claims administrator. Product Limitations apply based on availability. Normal Wear & Tear: Failures from normal Wear and Tear including from dust exposure is covered as a result of normal usage (including remote controls) within manufacturer care specifications. of a receipt / proof of transfer is sent to Us within 10 days of Your product being resold / transferred. You can email our customer service team for more information. In addition to this, our goods come with guarantees that cannot be excluded under Australian Consumer Law. You are entitled to a replacement or refund for a major failure and compensation for any other reasonably foreseeable loss or damage. You are also entitled to have the goods repaired or replaced if the goods fail to be of acceptable quality and the failure does not amount to a major failure. Please note that extended warranty is only active when standard 1 year warranty is expired. We offer a comprehensive 12-month local warranty to give you additional peace of mind. You don’t have to be concerned about warranty issues often associated with purchases sourced from overseas and not covered in Australia. Now, it’s a real peace of mind. 3. 7 Days Dead On Arrival Replacement Guarantee. If your product doesn’t work as it should, we offer a seven-day dead on arrival replacement guarantee. If you are not happy with your purchase for whatever reason it may be, you may return it to us for refund. For futher information, please refer to our return policy. We cater the fastest available courier because we know how eager you are to receive your goods. 6. 0% Surcharge For VISA, Master Card and PayPal Credit Card. Easy and secure payment facilities and 0% surcharge for Visa, Mastercard and PayPal payments. We use state-of-the-art systems to keep your information secure. Customers drive our business, and we make customer satisfaction a priority. We strive to provide the highest possible level of service, and exceed expectations wherever we can. Honesty is also important to us, and we believe that our customers deserve nothing less than the highest ethical standards from our company. We aim for excellence at every level, and in every aspect, of our business. Don’t just take our word for it, read some of our customers’ testimonials below! We do offer the complimentary extra at NO cost at all to you for selected item. Check under the option list before you add your item to the shopping cart to find out more. Over 5000++ selection of the top brands and latest products to choose from even if they have not yet been released in Australia. If you are looking for something specific and can’t find it on our site, please let us know and we will do our best to find it for you. CUSTOMERS DRIVE our business: Customer satisfaction is our reason for being. We strive to provide the highest level of service and consistently exceed our customers expectations. HONESTY is our foundation: Honesty is the cornerstone for all our business relationships. Our customers and partners deserve nothing less than the highest ethical standards from every level of our company. EXCELLENCE is our goal: Excellence is the standard by which we measure performance at every level and in every aspect of our business. We believe customer service is the key driver of our. 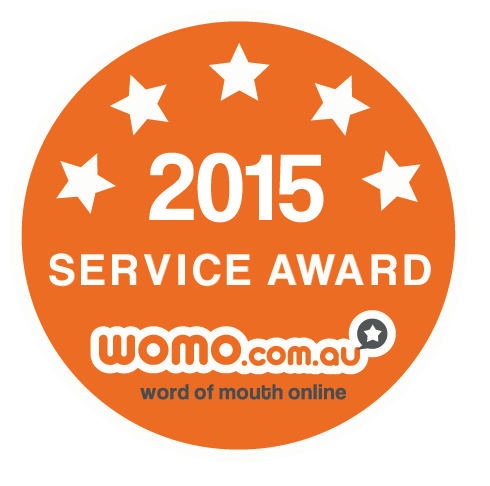 Our strong customer service focus and the quality of our products have led to us being named one of the top rated telecommunications businesses across Australia by Word of Mouth Online (WOMO) for 2012, 2013 & 2014 in a row.